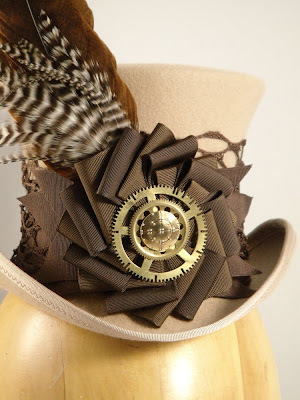 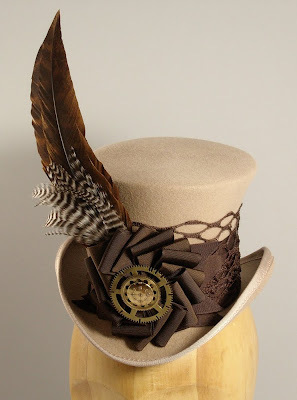 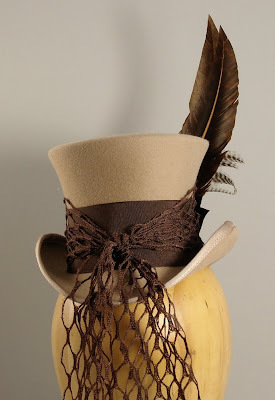 Another new Steampunk-inspired mini top hat style is now listed on Etsy. 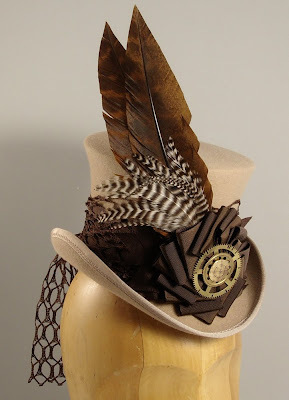 Combining the different brown tones and different materials was really fun. 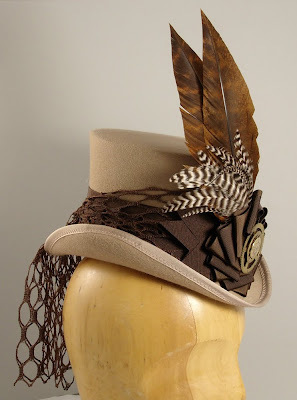 Seems like I've seen something similar on Audry Hepburn, but what movie, I could not say.